The CBS Family Preschool‘s wonderful enrichment programs are made possible, in part, by parent-driven fundraising efforts. The passive fundraising partnerships detailed below offer preschool families and their friends easy ways to raise a lot of money. You needn’t be a preschool family to participate, so please share with friends and family! Be sure to bookmark the URLs to make supporting our preschool as easy as point-and-click. AmazonSmile Program: When you shop on Amazon.com using the CBS Family Preschool AmazonSmile link, as much as 10% of your purchase total is donated to our preschool. Sports Basement’s Basementeer Program: Sports Basement offers a hybrid loyalty-charity program to CBS Family Preschool families and friends. Join the store’s free Basementeer program and you will receive 10% off every item every day AND the CBS Family Preschool will receive 10% of what you spend. If you haven’t already done so, on your next visit to Sports Basement, register as a Basementeer and select the CBS Family Preschool as your beneficiary! Click here for more information. For questions or changes to your Basementeers profile, please email friends@sportsbasement.com. Shutterfly Store: When you purchase Shutterfly products – like a beautiful book filled with pictures of your family – using the CBS Family Preschool Shutterfly link, you will receive 13% off your order AND our preschool will receive 13% of what you spend. Mighty Nest Store:Up to 15% of your Mighty Nest purchases are donated to the CBS Family Preschool when you purchase thought our Mighty Nest fundraising page. Mighty Nest sells well-researched, non-toxic products for all aspects of your family’s life. 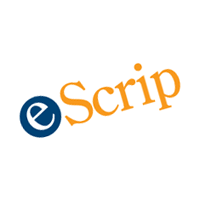 eScrip Rewards Program: Visit the eScrip website and sign up for the Group Name “CBS Scrip – Congregation Beth Sholom.” You can then register your grocery, debit, and credit card numbers, allowing participating eScrip merchants – including local grocery chains Mollie Stone’s, Safeway, and Cal-Mart – to automatically make contributions to the preschool when you shop with them. To sign up in 5 minutes or less, click through and follow the prompts. If you’ll be shopping online, click through to shopping.escrip.com and visit your favorite online stores to earn a percentage back for the school.